Hello there! I’m back with a detailed skincare post solely focused on the products I’ve tried from Sunday Riley. On the whole, my experience has been inconsistent which is also why it took me so long to get this out (other than me procrastinating). I’ve now used these up quite a while back with the exception of Juno. This might as well be an empties post. As a general overview, this might feel like an overpriced brand to a lot of people, and I generally agree. Especially so with the arrival of brands like The Ordinary which can do a lot of the same things. I’m not really comparing products here, just sharing my experience with these. I however, like the packaging of items when it comes to Sunday Riley. It’s unique, heavy and feels luxurious to use. I can’t really bring myself to throw them away, I might just keep them for other things! 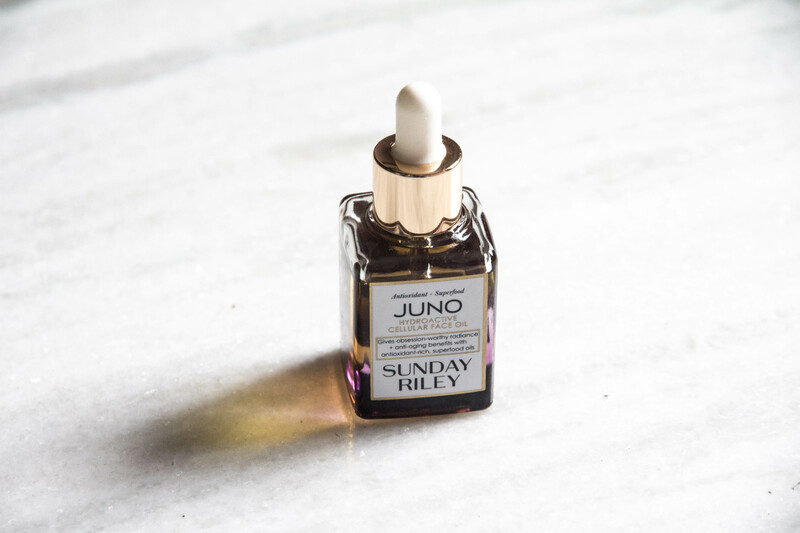 Let’s start with my favourite product from Sunday Riley, Juno Hydroactive Cellular Face Oil, or just Juno if you hate jargon. This isn’t one of the star products but to me, it stands out because of it’s relatively clean ingredient list and texture. Juno is a dry oil packed with seed oils like broccoli, blackberry, blueberry, black cumin, red raspberry, carrot, marula and many more. They’re a combination of antioxidants, provide UV protection, Vitamin C, Omega 3,6 & 9, Amino Acids. 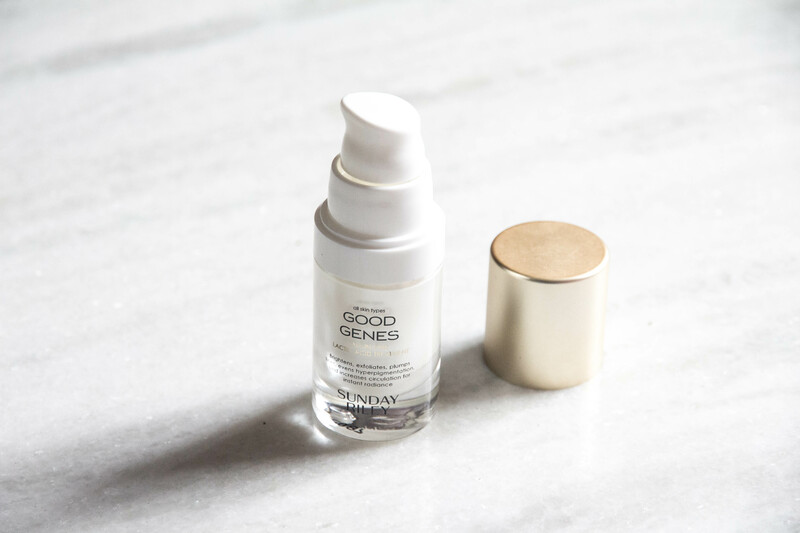 Together it’s great for hydration and giving healthy radiant skin. It’s a healthy breakfast for your skin and the formula is surprisingly so light which I like the most about this. I hate the feeling of a heavy oil in my night time routine, I don’t want it getting on my covers and stuff like that. 2-3 drops are sufficient for a light layer on my face and neck which get absorbed with relative ease. In winter when I want to use more, I massage in 2-3 drops first and then add another layer instead of adding 5-6 drops at a time. I’ve also used this in the morning a couple of times and haven’t felt greasy at all though I do have dry skin. This is potentially good for any skin type as long as you work it in and adjust how much you use. I find this a lot lighter than the previous ones I’ve used such as the Pai Rosehip Oil or Kiehl’s Midnight Recovery Oil. It’s a product I will repurchase in the future but to break the monotony, I have purchased a different face oil to use after this. Limnanthes Alba (Meadowfoam) Seed Oil, Brassica Oleracea Italica (Broccoli) Seed Oil, Rubus Fruticosus (Blackberry) Seed Oil, Vaccinium Macrocarpon (Cranberry) Seed Oil, Vaccinium Corymbosum (Blueberry) Seed Oil, Rubus Idaeaus (Red Raspberry) Seed Oil, Vitis Vinifera (Chardonnay Grape) Seed Oil, Daucus Carota Sativa (Carrot) Seed Oil, Nigella Sativa (Black Cumin) Seed Oil, Punica Granatum (Pomegranate) Seed Oil, Euterpe Oleracea (Acai) Fruit Oil, Sclerocarya Birrea (Marula) Kernel Oil, Tocopherol (Vitamin E) Please note: Due to the nature of the ingredients, the colour of the serum can vary slightly between batches. Moving on to the much hyped Sunday Riley Good Genes All-In-One Lactic Acid Treatment. I feel like only someone South Asian would understand this, but it basically smells like lemon pickle! It’s quite strong but it doesn’t bother me too much. It’s kinda spicy and acidic which completely threw me the first time I used it. The product itself is a white in colour and a bit creamy or lotion like in texture. It feels like you’re applying a light moisturizer. I think this is one those products that everyone likes but I’m underwhelmed by it. One of my main reasons for this is that I use a lactic acid toner (Biologique Recherche Lotion P50) almost everyday. It keeps my skin exfoliated, smooth and all the things that Good Genes promises. So to give this a proper go, I stopped using P50 for a few weeks and only used Good Genes every 3 days. So during my little experiment, I did notice my skin looked smooth and radiant, it was very subtle though. However, unlike P50, this did not help with hormonal breakouts. As much as I wanted to like Good Genes, I also didn’t want to use this and P50 together and wreck my skin by over exfoliating it. Instead I’ve used it sparingly as a treatment. The star ingredient here is lactic acid which is a gentle AHA that exfoliates dead skin cells and also helps with reducing hyperpigmentation. I do have certain leftover scars but I’ve found them to fade more rapidly with the Vitamin C serum that I use. If I haven’t used an acid toner for a couple of days (if I’m travelling), I use Good Genes after I’m back for a thorough exfoliation and on other occasions like that. It’s basically been relegated as an alternate toner which isn’t really worth the price. Thus I’m sticking with my usual routine and won’t be repurchasing this. If you use a mild acid toner or none at all, this is great to add to your routine. Unless you have really sensitive skin, I would recommend it but as I exfoliate regularly anyway, this didn’t add significant value to my routine. 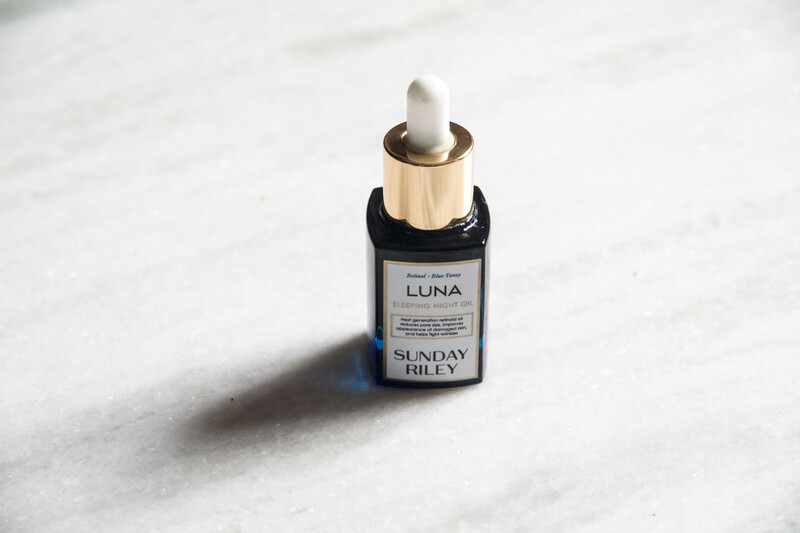 Right from the beginning, Sunday Riley Luna Sleeping Night Oil has been miracle oil I’ve been sceptical about. Curiosity got the better of me and when the Good Genes + Luna duo set came out, I thought this is a good chance to try it out. My experience with this has been such a rollercoaster, I can’t quite decide if I like it enough. It’s blue tinted oil which is looks insane when you first apply it but after leaves no trace of colour after massaging it in. The scent here is easier to deal with than Good Genes, it’s more herbal and earthy. I don’t get a lot of acne, mainly hormonal and acid toning coupled with a new spot treatments keeps me afloat. I had never really used or felt the need to use Retinol specifically for anti-aging before either, so I was very curious about it as an ingredient as well. From what I understand, the retinol used in Luna is a derivative, trans-retinoic acid ester which is meant helps renew the skin more quickly, help with fine lines, reduce appearance of pores and give a smoother appearance of skin. When I first used it, I definitely went through a purging stage where spots grew out of nowhere. I had read other reviews of something similar happening so I stuck with it, using Luna every alternate night when I didn’t exfoliate. After a week I noticed my skin was so incredibly radiant, pores appeared to be reduced the morning after using this and there was a distinct glow. I ready to sing all praises. After that initial gratification and a few days of that same supple and glowy skin, there wasn’t much else it did. 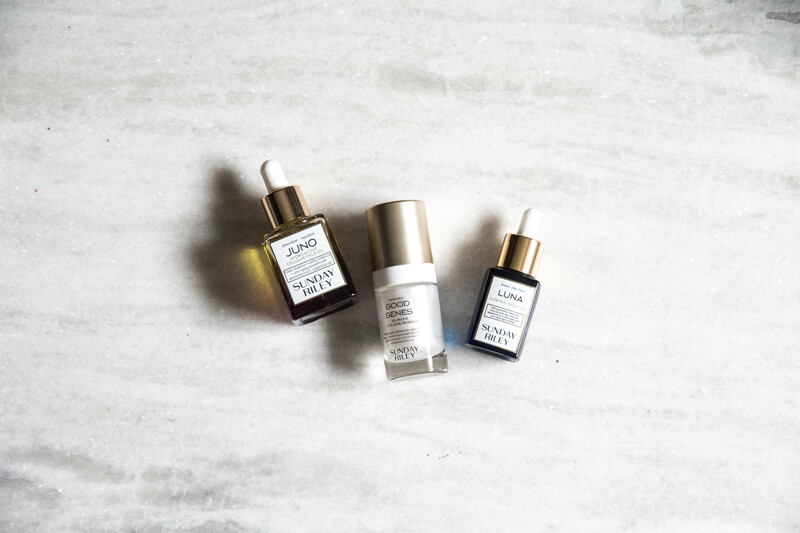 Soft and glowing skin is also something that Juno delivers consistently. I stopped using it for a while, maybe I had become jaded with having good skin so I might not be noticing what it did. I started using it again after a few weeks and this time it did absolutely nothing to make a difference. So I’m scratching my head here over whether this actually worked or it was a fluke but I’ve read similar experiences from a lot of people. When I bought Luna, it was a time when I wanted to try out different ingredients. Right now, I definitely know what works for me and when I’m going overboard with my skincare. This is not in my routine now as it doesn’t really give reliable results. I don’t think I’ll be buying this again either. Maybe I’m just not ready for retinol right now. One quick thing to mention is about the colour, a gorgeous navy blue which is why I secretly still like this. The official claim that this colour is derived from Blue Tansy is false, there is a colouring agent present in the formula. Overall, Sunday Riley isn’t a brand where I can blindly buy a product and expect it to work. Also, these are expensive so it helps that they occasionally have travel sizes or gift sets to try things out. Hope you guys liked this post! I might do a similar post on the Glossier and Drunk Elephant products I’ve tried so far. Let me know your experiences I’ve you’ve tried this products and if there are any other Sunday Riley products I’m missing out on.